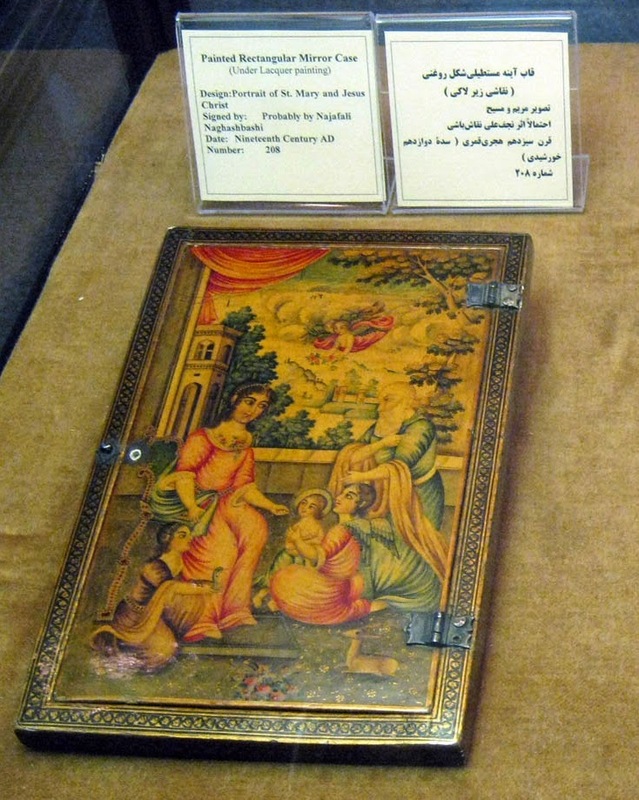 Kept in a museum in Iran. 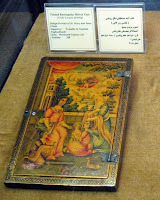 This is a painting on a rectangular mirror case with pictures of Saint Mary and baby Jesus. He is the central figure of Christianity and whom most Christian denominations worship as the Son of God.